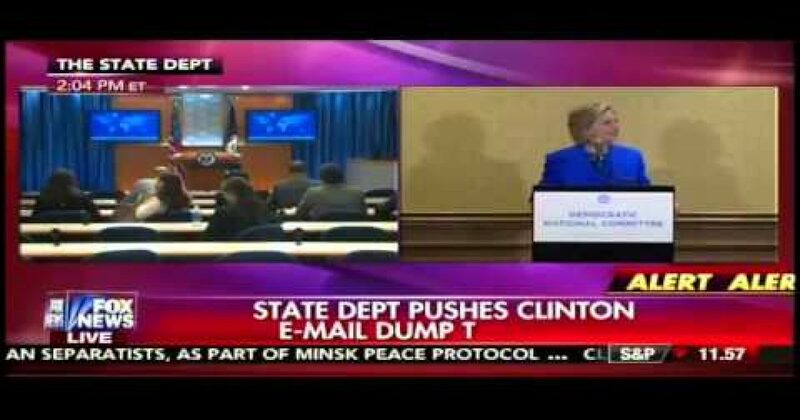 Today the State Department is releasing another dump of those long-awaited emails from Hillary Clinton’s server. According to Ed Henry about 150 of those non-deleted Hillary Clinton emails that will be released tonight will have some classified information on them. 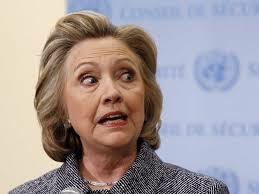 Henry said more than 7,000 pages of Clinton’s official email would be released around 9 p.m. EDT. Remember the former Secretary of State first said there was no classified information on the server, then it was there was no information that was classified at the time, and the latest excuse is there was noting with a classified label on her server. According to one expert it is impossible for classified information to move from a secure server to an insecure server accidentally. (…) So if the Clinton denial is to be believed, individuals in her inner circle would have simply typed or scanned classified information into a non-classified system without regard for its contents. In this case, emails would have started in, and stayed in, the unclassified system — albeit improperly, based on the findings of the intelligence inspector general. But if it turns out emails literally jumped from the classified to the non-classified system — something the State Department claims cannot happen — it would seem to point to Clinton’s staff going to great lengths to create a work-around to do so. A government employee doing so would commit numerous felonies, according to Bradford Higgins, who served as assistant secretary of state for resource management and chief financial officer from 2006-2009. “A violation, in addition to criminal charges and potential prosecution, would likely mean that person who committed the breach would never again be given a security clearance,” Higgins said. I know! Maybe Hillary’s next excuse will be she didn’t put the classified information on her server, neither did any on her team. In a perfect Clintonian excuse the former secretary of state is going to blame the tooth fairy’s lesser known brother, the Evil Email Server Fairy.